While attending school at the all-girl boarding school of Recreation Retreat, they can study in a distraction-free environment. – boarding schools troubled teen and affordable alternative schools. We understand that everyone has different educational needs. Help is available for those who learn at a slower pace and help those who learn at a faster pace. When students are enrolled they meet up with our Academic Director. They also take an academic test in order to give them a personalized academic program appropriate for their age and grade. Once they have their classes students are encouraged to take charge of their personal academic plan. Just like a college student they are encouraged to take an interest in their academic plan to take charge of it. At Re-Creation Retreat our girls are taught about self responsibility and accountability. So they can be able to take charge of their academic studies and have the motivation to study. Most of our classes are computer based, but we also have textbook based classes for students who learn better in a traditional setting. Our instructors can also provide one on one tutoring with students. 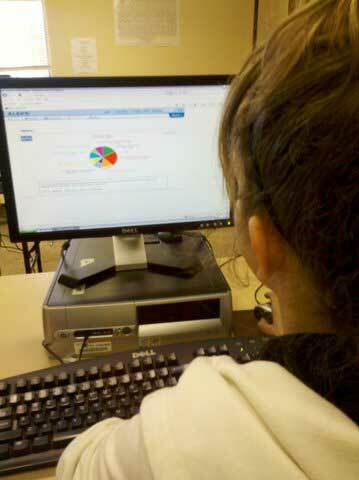 We make sure to do a weekly check on each student to make sure they are staying on track with their academic studies. Re-Creation Retreat is a license as a Level III Behavioral Health Agency through the State of Arizona. We are also a fully functioning fully accredited high school which operates under the guidelines and requirements of the State of Arizona. Our academic online program, Alta Independent (Accreditation) is accredited through the Northwest Accreditation Commission. On top of being focused on providing good education for students. We also provide therapy to troubled teen girls. Our therapy program is built around trust. We focus on helping students to rebuild the building blocks of good human interaction and relationships rather than focus on what they did wrong. We do this through a number of therapeutic approaches that do wonders. One of the programs we offer is our horsemanship and equine assisted therapy. No matter how hard you try you can’t fool a horse. A horse knows if you are authentic and will react to it accordingly. Horses are also capable of unconditional love and support. Girls are taught the basics of the horse personalities and body. Once they learn how that and how to be safe around the horses. Next they get to learn how to care for the horses. After the basics are covered the students can then move forward to develop their riding skills. Both on the trail and in the arena. The horsemanship programs gives girls a chance to learn about patience and develop the skills they need to develop healthy relationships. The interaction allows girls to process their experience with the therapists. The therapist is then able to generate a valuable experience built on understanding and insights. This translated into behavioral and emotional growth. Horsemanship therapy allows girls to learn the values of being committed, patient, connected, and focused with other people in order to develop a meaningful relationship. Girls are able to experience a self-discovery in regard to their relationships. They learn how their actions, thoughts, and feelings affect those close to them. Our students are also able to learn about themselves and are able to become self aware of how they show up in the world. Working with the horses also allows the girls to strengthen their communication skills. Once they are able to improve their relationship skills. They can become more solid in their judgments when it pertains to the relationships they have with other people. The horsemanship program is excellent for developing leadership skills and self awareness. They are not only able to learn about themselves and to be responsible not only for themselves, but for others too. At Re-Creation Retreat we care about our girls as if they were our own daughters. We seek to help each and every girl who comes into our care. You can trust us to take good care of your daughter and to help her to heal. We can also help you in your search for other Christian boarding schools, Christian youth ranches, Christian therapeutic boarding schools, schools for troubled girls or emotional growth schools. Re-Creation Retreat is a therapeutic boarding school for troubled teenage girls offering teen counseling for girls with adoption issues (reactive attachment disorders), self-harm (self-mutilation) or cutting, or eating disorders (anorexia, bulimia, anorexia nervosa). Other behavioral issues we deal with include: depression, post traumatic stress and anxiety. If you have an out of control girl, please consider this school for troubled girls that offers teen counseling and teen counselors for troubled girls. We offer counseling for troubled teens and out of control teens. We especially work with RAD girls and troubled girls who are adopted. Homes for troubled teens and boarding schools for teens don’t typically offer teen counseling and therapy, but we do. Among the best therapeutic schools with counseling – also referred to as “schools for troubled teens”. While attending school at the all-girl boarding school of Recreation Retreat, they can study in a distraction-free environment.